Maserati will stick to its promise of unveiling one new motor at every international auto show next month, with the GranTurismo S Automatic due to make its world premiere in Geneva. Commenting on the latest addition to its line-up, the manufacturer said motorists buying the car would immediately recognise similarities with previous models. However, it added there were a few unique touches that may surprise Maserati enthusiasts. The car comes with 20-inch wheel rims, which were included to highlight the vehicle's elegance and strength. It also features under-door mini-skirts intended to enhance the dynamism of the motor. 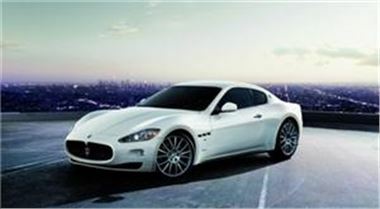 Maserati predicted buyers would be impressed by the vehicle's equipment specification, revealing it includes Bluetooth and wireless technology as standard, with the option of an iPod interface. Earlier this year, readers of motoring magazine Octane voted the manufacturer's 250F model the best racing car ever. The vehicle was initially nominated by legend of the track Sir Stirling Moss.